Pandharpur is a religious center situated on the banks of Bhima River and is 65 km away from Sholapur. Pandharpur is one of the most important pilgrimage places in Maharashtra state. Pandharpur is a holy place of Shri. Vitthal and Shri. Rukmini & is said to be the home of Maharashtra’s presiding deity Lord Vitthal. 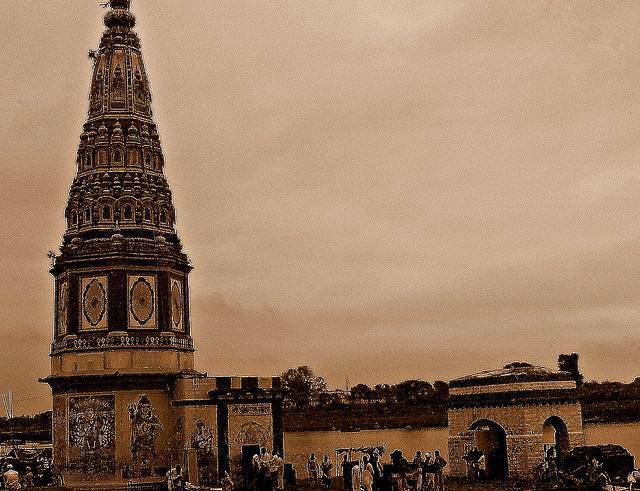 In Pandharpur there are two separate beautifully sculpted temples for the Lord and his Consort Goddess Rakhumaithere. Vithoba Temple is the main temple, situated in the central part of the town. The temple has eight entries. There are many other temples in town dedicated to different other Hindu deities.